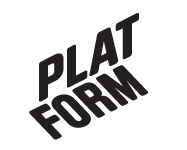 December 2003 – Platform r.f. Stefan Otto (SWE) has been working with video and photo. In his work there are movie references that usually are films about the unknown. The purpose has been to describe and use the elements creating an atmosphere. He deliberately leaves away, cuts away all storytelling to focus on the expression. In his new work Stefan Otto still uses the language of film. The difference is that instead of the earlier references to films he uses personal imagination. In this process the arranged, simulated has a greater role in transmitting something special. The photos and video that Stefan Otto shows in the exhibition seem to include a moment, before or after something happened. These moments create a feeling of a mythical non-place.